The State Air Pollution Control Board on Friday deferred taking further action on the Buckingham Compressor Station air permit. 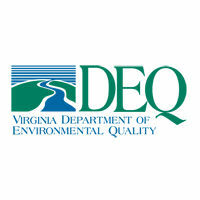 The motion to defer followed a presentation from the Virginia Department of Environmental Quality (DEQ) that included a permit overview and a response to comments. The Board also heard a presentation from the applicant, Dominion Energy, as well as a full day of public comments from meeting attendees. The board indicated it would continue to consider the information already provided by the agency, the public and the applicant to this point. The board will resume discussions on the matter at its next meeting on Dec. 10. “The board determined they needed extra time to evaluate all of the comments and concerns received from the public before a final decision is made,” said DEQ Director David Paylor. The proposed air permit will govern air pollution emissions for the proposed Buckingham air compressor station facility associated with the Atlantic Coast Pipeline in Buckingham County.